A language decoder would be an incredible tool to have at your disposal —you’d be able to converse with everyone, no matter where they came from and what language they spoke! It may sound like science fiction, but the US Defence Advanced Research Projects Agency (DARPA) is working on a version of this very invention, for use by soldiers. Found in Translation. There are over 6,000 languages spoken in the world and a good language decoder would be able to identify all of them (or at least the top 300!). The computer would probably be in headset form, so that it could work in two ways: translating what you hear and what you say. Think of the advantages. There would be no more need for frantic pointing or repeating yourself loudly in your attempt to be understood when you’re on holiday in foreign climes. Asking for directions would be a doddle, you could even have deep conversations with the locals about culture and politics! There would be no need for film or TV subtitles any more. The world would be a more peaceful place, with fewer cultural misunderstandings and breakdowns in communication. On the downside, the more popular the device became, the more translators that would be put out of work! However, for the moment, their jobs are safe, as it looks like language decoders are still a fair way off. Babel Fish are language decoders in Douglas Adam’s Hitchhiker’s Guide to the Galaxy books. They sit in the ear and feed off the brainwaves of other people, excreting those frequencies into your ear so that you can understand what they’re saying, whatever the language. How many times have you wished you had a specially designed holder to transport your bananas? Ave a Banana. Bananas are wonderful fruit in many ways: they’re delicious, low in calories, high in potassium, vitamin B6 and magnesium, and can help lower cholesterol. They come in convenient bunches, and, perhaps most obvious, each banana has its own protective thick skin. However, someone has decided that the world is crying out for more effective banana protection. Apparently, banana skins aren’t enough on their own and an extra layer of protection is needed to avoid bruising. A patent was granted for the ‘Banana Protective Device’ in 2003. It’s a hinged, lockable case, shaped (as you’d expect) like a banana, and comes complete with interior cushioning. The inventor’s instructions carefully explain how to use it: In use, the user opens the container and places a banana inside thereof and closes the container to allow the user to carry the banana in a safe manner. The next time you’re transporting a banana, you might want to consider spending around £5 on a banana suitcase, which are available to buy in five different colours. There will, of course, be rogue bananas that don’t fit inside the suitcase, so you’d better make sure that yours is a conventionally shaped banana before you buy. On the other hand, you might not want to bother. The next time you reach for a bunch of bananas, watch out for spiders. The Brazilian wandering spider, or banana spider, is one of the most deadly spiders in the world. It’s been known to lurk in bunches of bananas and bite unsuspecting harvesters. Fool your school Mends with a ready-sliced banana! Take your banana out of your bag at lunchtime, before you open it, tell your friends at your School have bought a bunch of the best bananas around. Tell them the bananas were very expensive because they are the first in a new variety of ready-sliced bananas (they won’t believe you). When they challenge you to show them, Peel the banana to reveal your revolution in fruit science! WARNING: You should prepare your banana only a short time before performing this trick, otherwise the banana will start to go brown. Wouldn’t it be great to have your very own robot to do all the tasks you hate without complaining? Say goodbye to homework and washing-up! Inventing a Brain. Intelligent robots don’t yet exist, but today’s robots can do all sorts of things: they work on assembly lines in factories, defuse bombs, vacuum the carpet, mow the lawn, and sample and analyze the surface of other planets. Different types of robot look and behave very differently from one another, so it’s difficult to define what a robot is. Broadly, you could say that all robots have a computer (a brain) that controls a physical structure (a body). But could a man-made machine ever be intelligent in the way that you are, capable of thought processes that enable it to learn, plan, have ideas and preferences? Artificially intelligent machines do already exist: computers can solve problems, as long as they’re programmed to do so, and some modern robots can learn, in a limited way. But they’re not likely to help with an essay on the Napoleonic Wars. Some scientists don’t believe that a truly intelligent robot will ever exist because we’ll never understand how our brains work well enough to create intelligence artificially. Others believe that research into artificial intelligence will lead to machines that can think for themselves, and eventually turn us all into human/machine hybrids. The Honda Motor Company’s ASIMO robot, which looks a bit like a small person in a spacesuit, is the most advanced humanoid robot in the world. It can walk, climb stairs, understand spoken commands, recognize faces and perform a variety of simple tasks. Robots are currently being developed across the world for domestic use, but it is going to be a long time before them will be one in every home. What kind of robot would you build? How could teenagers have been invented? And, no doubt, some uncharitable people might even ask ‘why’. Uncouth Youth. Obviously, no one used to miss out the years between 13 and 19. However, until the 1950s the term ‘teenagers’ had never been used, musician Bill Haley is supposed to have been the first person to use the word in 1952. Before that they were ‘young adults’ or ‘youths’ and were expected to behave pretty much as adults did. The Second World War had been rather miserable, for obvious reasons, but during the 1950s rationing ended and everyone had a bit more spare cash. New films, TV shows and especially music appealed to the young, who began to create their own style, quite different from grown-ups’. For the first time, young people had money to spend on luxuries, and they used it to make themselves as different as possible from their parents. They listened to the new ‘rock and roll’ music, absolutely shocking, as you’ll probably agree, and they dressed in clothes that their mums and dads definitely wouldn’t be wearing. One popular teenage fashion, the ‘Teds’ look, made teenagers stand out rather: boys wore drainpipe trousers, long brightly colored jackets, greasy hair with a huge quiff at the front and chunky sideburns. Teenage fashions have changed a bit since then. Teddy boys: The 1950s’ Teds surprisingly took their inspiration from upper-class men of 50 years before, the Edwardians. Hence the name (Ted is short for Edward). By the 1960s, many Teds, especially those with motorbikes, became Rockers. When people grow up they often forget what it’s like to be a teenager, even when they have children of their own. Don’t make the same mistake! Louis Braille is a hero to millions of blind people all over the world, but not many people know that we also have Napoleon Bonaparte to thank for the invention of Braille. Braille is a system of raised dots that can be read using touch alone. Before it was invented, there were a few books produced to teach blind people to read using embossed letters, but they were difficult and expensive to produce. Louis Braille, who’d been blind since he was three, read some of these books when he was sent to the Royal Institute for Blind Youth in Paris. While he was there an army officer, Charles Barbier, visited the Institute and demonstrated an invention that he called ‘night writing’. French general Napoleon Bonaparte had had the idea of a code that could be read at night and challenged his army to invent one. So Barbier had come up with a system that allowed soldiers to communicate silently and in total darkness using a system of raised dots to represent the alphabet. Unfortunately, Barbier’s night writing was so complicated that none of the soldiers had been able to learn it. Although Louis Braille was just 11 years old at the time, he saw the potential of Barbier’s dot system straight away. He spent the next six years simplifying it and in 1821 came up with an alphabet of raised dots arranged in rectangles that could be read quickly and easily. After you’ve read Braille with your eyes, try to read it with your finger Familiarise yourself with the feeling of Braille and take it slowly, because if you miss one bump then a word could take on a whole new meaning or make no sense at all! Now go and find some signs in Braille and attempt to read them. Visually-impaired geniuses: These include Horatio Nelson (British admiral), David Blunkett (UK politician), Eduard Degas and Claude Monet (French painters), Stevie Wonder and Ray Charles (US singer/songwriters), and Cupid/Eros (Roman/Greek god of love). Today, most people with white skin use sunscreens, at least, they should. These block sunburn-causing UVB rays and the best ones also protect against UVA rays, which can cause long-term sun damage. Here Comes the Sun. Effective sunscreens were only invented in the 20th century. That’s probably because people didn’t sunbathe until the 1920s, before that, the fashion for pale skin meant that people kept out of the sun, unless they worked outside, in which case they had to resign themselves to being deeply unfashionable. In the 1920s French fashion designer Coco Chanel came back from holiday with a suntan and started a fashion for foreign holidays and tanned skin, which became a symbol of wealth, just as pale skin had been in the past. The sunbathers of the 1920s weren’t aware of the dangers and, if they applied anything to their skin, it was to help get a suntan and not to protect themselves. In 1938 an Austrian chemistry student called by Franz Greiter, who had suffered bad sunburn climbing Piz Buin, developed a sunscreen with an SPF of 2. Eugene Schneller, founder of L’Oreal, was also inventing sun creams in the 1930s. In 1944 Benjamin Greene invented a sticky red goo to protect Second World War soldiers from sunburn that he tested on his own bald head, it worked, but it wasn’t popular with sunbathers for obvious reasons. Now, very effective sunscreens are available that aren’t red and sticky. Sun Protection Factor: Bottles of sunscreen all show an SPF number, which indicates the length of time you can stay in the sun without burning: if your skin burns after 10 minutes, using an SPF of 10 you can stay in the sun for 100 minutes. Everyone should be well aware by now of the dangers of unprotected exposure to the Sun’s UV rays, but how much do we really know about that great burning ball in the sky? Since X-ray machines were invented, doctors have been able to see exactly which bone is broken or fractured and where. Before that, the only way to see inside the body was to cut it open, which is quite a lot more painful than taking an X-ray. X-ray Specs. X-rays are part of the electromagnetic spectrum, like radio waves, or light. They were discovered in 1895. German scientist Wilhelm Rontgen was experimenting with electron beams and noticed that they could pass through cardboard and other materials on to a screen. When he put his hand in front of the generator, an image of the bones inside his hand appeared on the screen. By chance, he’d discovered a new kind of radiation, which he referred to as ‘X’. The first X-ray image ever taken was of Rontgen’s wife’s hand. X-rays allow us to see through skin and the squishy bits inside our bodies to the bones because the skin and squishy bits are made up of smaller atoms, which don’t absorb X-ray photons very well. The calcium atoms bones are made of are bigger, so they do absorb the photons and show up on X-rays. Today, a combination of X-rays, ultrasound and magnetic resonance (using radio waves) provides amazing 3-D images of our insides, the bones and the squishy bits too. Danger-rays: X-rays are a lot less dangerous and less messy than cutting open the body, but it wasn’t realized that X-rays are dangerous in a different way until years after they were discovered. Too much exposure to them can cause cancer. Imagine a world without numbers: you wouldn’t know how much money you had and when you spent it you’d have no idea how much anything cost. On the other hand, you wouldn’t have to do quadratic equations. /////////////////////// (i.e. not very useful). But because we’re working on the decimal system, we put a 2 in the left-hand column to signify two lots of ten, and a 3 in the right-hand column to signify three lots of one. The first people to use a number system were the ancient Mesopotamians, around 3400 BC. Unlike our decimal system (base ten), the Mesopotamians had a sexagesimal system (base 60). They probably liked the number 60 because so many other numbers divide evenly into it. The number 23 in the decimal system means two lots of ten and three lots of one, but for an ancient Mesopotamian the number would mean two lots of sixty and three lots of one, 123 in the decimal system. We have the ancient Egyptians to thank for the earliest example of the decimal system, which dates to about 3100 BC and which means we don’t have to multiply by 60 all the time. New Year’s Eve and Bonfire Night would be so much less exciting, colorful and noisy without the invention of fireworks. Gone in a Flash. The earliest type of firework was invented about 2,000 years ago in China, when it was discovered that freshly cut bamboo thrown on to a fire causes a rather loud explosion. People were soon throwing bamboo on fires to ward off evil spirits. Then the Chinese invented gunpowder and some bright spark had the idea to press this explosive mixture into the bamboo tubes. The invention of the firecracker, around 1,000 years ago, has been credited to a monk called Li Tian, who packed the gunpowder mixture into paper tubes. The Chinese continued to develop fireworks as they became a popular form of entertainment, and by the 13th century Europe had got in on the act. Queen Elizabeth I liked them so much that she created the position of ‘Fire Master of England’. James II knighted his Fire Master. Ancient Chinese fireworks weren’t multi-colored: they were all yellow. They had to rely on amazing shapes and loud bangs to make them spectacular and exciting. It wasn’t until 1800 that a French chemist called Claude Berthollet discovered potassium chlorate, which made different colored fireworks possible. Today fireworks continue to be enjoyed all over the world, and China is still the biggest manufacturer and exporter of them. Firework face-off: If you want to see a really amazing firework display, go to the next World Pyro Olympics, where firework companies from all over the world compete against one another in a five-day competition. Fireworks are used in celebrations all over the world. Here is a list of some of the biggest ones. On 5 November 1605, Guy Fawkes together with the other conspirators in the ‘Gunpowder Plot’, attempted to blow up James I and the Houses of Parliament. The plot was uncovered and the perpetrators were executed. So Bonfire Night is actually a celebration of something that never actually happened! On 4 July 1776, the Declaration of Independence was signed, marking the beginning of self-government in the USA, and independence from Great Britain. It has been celebrated every year since with a national holiday and patriotic displays. Chinese New Year is the most important celebration in the Chinese calendar and the party goes on for 15 days! The date is based on the first day of the new year containing a new moon, and so t changes every year due to the phases of the Moon. It usually falls either at the end of January or the beginning of February. Diwali is a five-day Hindu festival that celebrates the triumph of good over evil. It occurs on the 15th day of the Hindu calendar month of Kartika, which falls between mid-October and mid-November. It is also known as the ‘Festival of Lights’ because of the use of small oil lamps to decorate buildings. New Year’s Eve is celebrated on 31 December by the countries that use the Gregorian calendar of 365/366 days. It is the largest party in the world, and although different countries observe their own traditions, fireworks at midnight is a custom adopted by almost all of them. The weather has always been difficult to predict, and scientists say we can expect more freak weather conditions as global warming takes its toll. At the moment, we’re lucky just to have an accurate prediction for a few days in advance. We could really do with a device to tell the weather what to do! The way to get around the lack of rain would be to arrange for it to rain regularly at night, when most people are asleep in bed. If you wanted to get out of your sports day, you could program the machine to rain all day! Or if you needed a few more days to revise for your end-of-year exams, you could make it snow heavily in June. No one would suspect you, they’d blame the freak weather on climate change. Put an end to Christmas Days without snow and rainy bank holidays! If you’d always wanted to see a tornado, you could just summon one up —although you’d have to do it somewhere safe, away from populated areas. You could even help prevent some of the worst effects of global warming by keeping the weather really cold around the ice caps, and making it rain in areas of the world severely affected by drought. To really command the weather, you’d need to be able to control the Earth’s tilt on its axis and its orbit around the Sun. These factors he behind seasonal changes, and explain why it’s winter in the northern hemisphere when it’s summer in the southern hemisphere, and vice versa. What would be your perfect day weather-wise? Next time you reach for a cold can of Coke, spare a thought for the millions of people who lived before fridges were invented. Keeping food cool keeps it fresher for longer. Since food that isn’t fresh can kill you, this is very important. Before fridges, people put food in cold, dark, damp places, or in a hole packed with ice or snow. Artificial cooling started more than 250 years ago. In 1748 William Cullen demonstrated how freezing temperatures could be obtained by evaporating ether. But he didn’t use it to build a fridge. Oliver Evans, an American inventor, proposed a refrigeration machine in 1805 that used compressed ether, but he never developed the idea. Jacob Perkins was the first person to actually build a machine that cooled things down. He patented his invention in 1834. The first commercial refrigerators were used in the brewing and meatpacking industries in Australia and the USA in the 1850s. Improvements in the design led to the first domestic fridges going on sale in 1913. 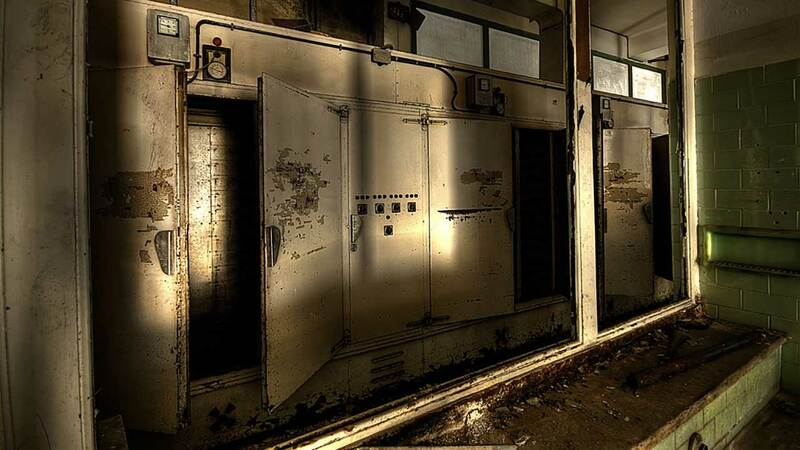 Until 1929 fridges used poisonous gases ammonia, methyl chloride and sulphur dioxide, which caused several deaths. After that Freon was used, a compound invented by two scientists called Charles Franklin and Thomas Medgeley, Jr, and manufactured by Du Pont. It was much safer, but years later people realized that the chlorofluorocarbons in Freon were destroying the Earth’s ozone layer! Relatively cold: Albert Einstein came up with all sorts of clever things. Not many people know that one of them was a fridge, which he invented in partnership with a former student, Leo Szilard. They took out a patent in 1930. The ice-cream-making process takes a lot of time, but the results are well worth it. Ask an adult to be your assistant. Here is a way to make mischief. Why not make six different ice-cream dishes and make one of them a nasty flavor? For instance, you could have five great flavors such as: chocolate, vanilla, strawberry, banana and mint choc chip, and then one really nasty flavor – like tomato ketchup or mustard flavor. Bring your ice creams to the table when they’re ready. Serve them into identical dishes and place them on a tray. Now invite your guests in. It’s time to spin the tray. When it stops spinning each person must take the flavor that ends up in front of them, but try to make sure you don’t get the tomato ketchup flavor! Leave that one for Dad! Can a person live without a stomach? How Can You Tell a Can of Diet Coke From a Can of Regular Coke Without Opening Them? Are Apartment Buildings New Inventions?